Uses Healing Sound as a practice using sacred instruments from ancient sources: Shamanic tools, Sacred Mantras, and the practice of Kundalini yoga. These practices opened up his potential as a healer and he began giving therapeutic massages in 2002. 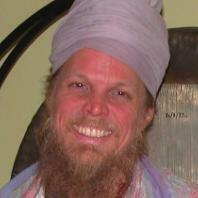 He currently leads group healing sound workshops and Kundalini Yoga classes. There is nothing like the experience of a 32 inch Paiste Gong tuned to Nibiru! A Gong Meditation will heal your nervous system and shake loose any stagnant energy within your electromagnetic field. Through the practice of Kundalini yoga you can access this place within you that is connected to pure consciousness. It brings profound peace, prosperity and bliss.